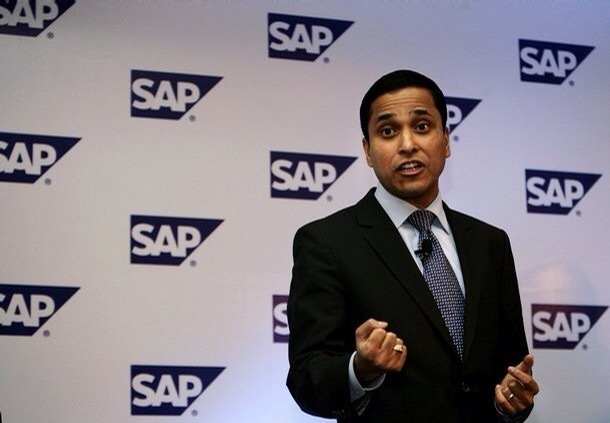 Ranjan Das, CEO and MD of SAP-Indian subcontinent died after a massive cardiac arrest in Mumbai recently.One of the youngest CEOs, he was only 42. He was very active in sports, was a fitness freak and a marathon runner. After his workout, he collapsed with a massive heart attack and died. He is survived by his wife and two very young kids. It was certainly a wake-up call for corporate India. However, it was even more disastrous for runners. The question arises as to why an exceptionally active, athletic person succumbed to a heart attack at 42 years of age. Everyone missed out a small line in the reports that Ranjan used to manage with 4-5 hours of sleep. In an earlier interview of Ranjan on NDTV in the program ‘Boss’ day out’, Ranjan Das himself admitted that he sleeps less and would love to get more sleep. Short sleep duration (<5 or 5-6 hours) increases risk for high BP by 350% to 500% compared to those who slept longer than 6 hours per night. Young people (25-49 years of age) are twice as likely to get high BP if they sleep less. Individuals who sleep less than 5 hours a night have a 3-fold increased risk of heart attacks. Just one night of sleep loss increases very toxic substances in body such as Interleukin-6 (IL-6), Tumour necrosis factor-alpha (TNF-alpha) and C-reactive protein (CRP). They also cause cancer, arthritis and heart disease. Sleeping for <=5 hours per night leads to 39% increase in heart disease. Sleeping for <=6 hours per night leads to 8% increase in heart disease. In brief, sleep is composed of two stages: REM (Rapid Eye Movement) and non-REM. The former helps in mental consolidation while the latter helps in physical repair and rebuilding. No wonder when one wakes up with an alarm clock after 5-6 hours of sleep, he/she is mentally irritable throughout the day (lack of REM sleep). And if somebody has slept for less than 5 hours, the body is in a complete physical mess (lack of non-REM sleep), the person is tired throughout the day and immunity is way down. Barring stress control, Ranjan Das did everything right: eating proper food, exercising, maintaining proper weight. But he missed getting proper and adequate sleep, minimum 7 hours. That killed him. We are playing with fire if we are sleeping less than 7 hours even if we have low stress. Do not set your alarm clock under 7 hours. Ranjan Das is not alone.